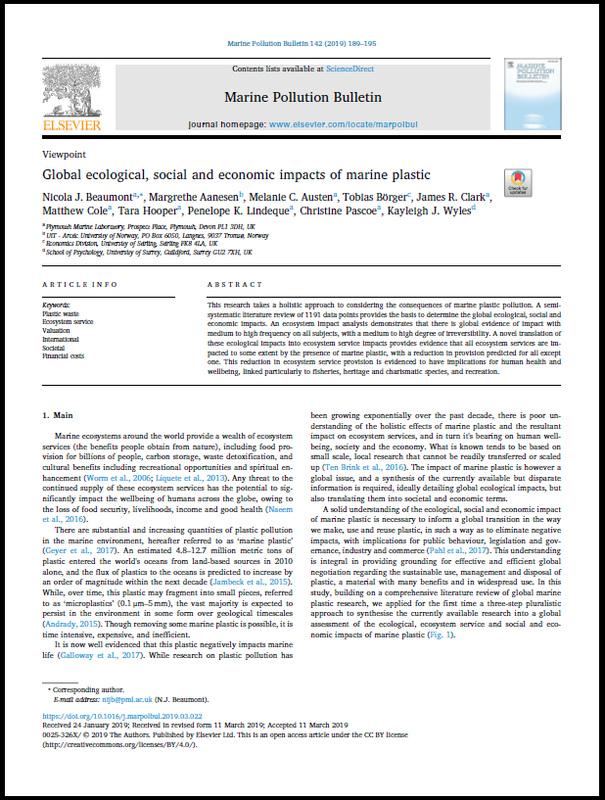 This research takes a holistic approach to considering the consequences of marine plastic pollution. A semi-systematic iterature review of 1191 data points provides the basis to determine the global ecological, social and economic impacts. Click on the link below to access the full paper.